EDU 247 (Science for Elementary Educators II) is a content-based interdisciplinary science course with a focus on chemistry, earth and space science. 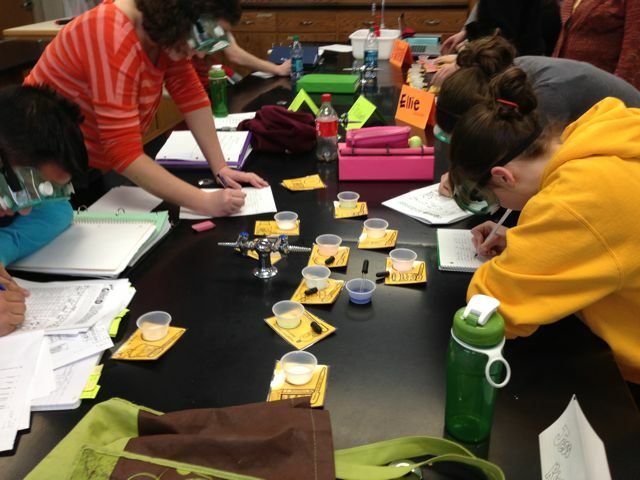 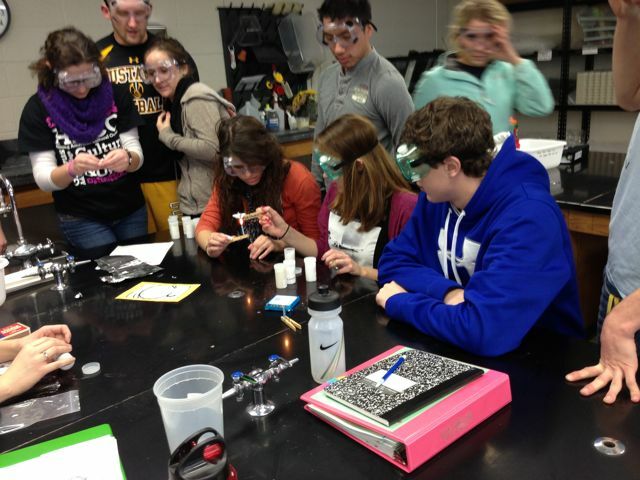 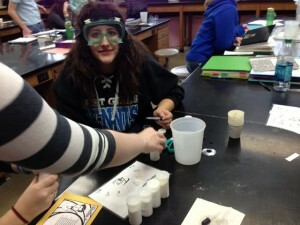 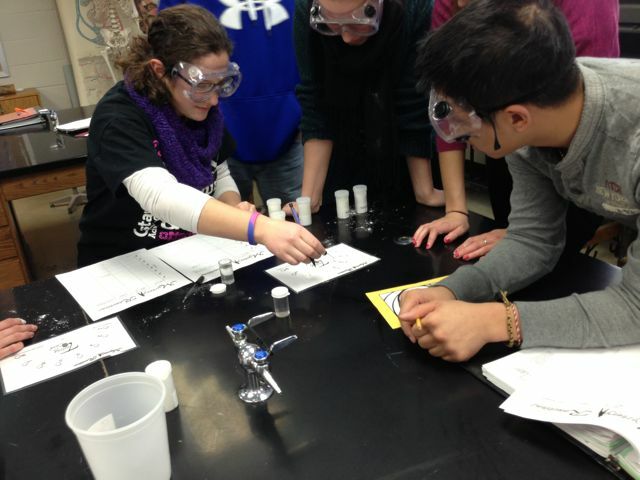 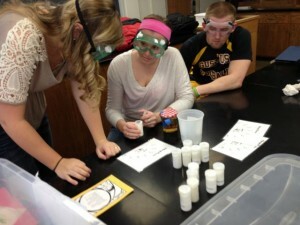 For the first three weeks of the spring 2013 semester 27 elementary education majors learned about periodicity, chemical reactions, water chemistry, and pH with Assistant Professor of Chemistry Amanda Nienow. 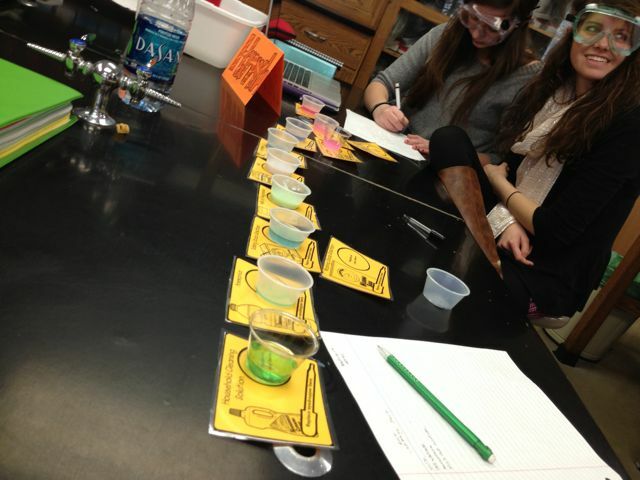 In the photos above, students are testing common household substances (milk, baking soda, household cleaners, lemon juice and the like) for acid or base reactions with red cabbage juice used as an indicator. In the photos below, students are determining properties of typical household powders (flour, sugar, baking soda, alum, cream of tarter and the like) so they can use those skills to identify a mystery powder.